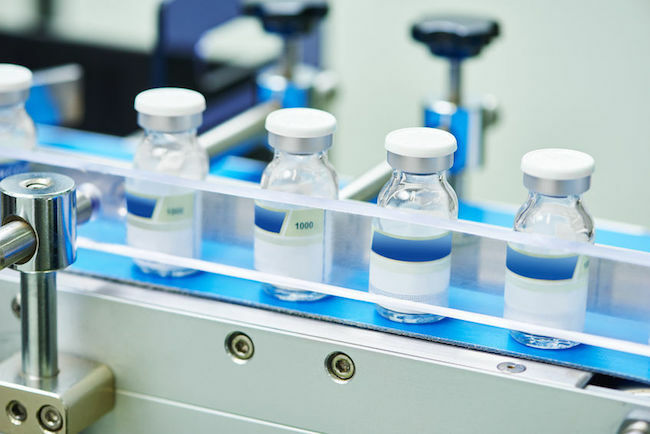 SEOUL, May 10 (Korea Bizwire) — SK Chemicals Co., a South Korean vaccine maker, said Thursday it has joined with Daewoong Pharmaceutical Co. to sell its herpes zoster vaccine in South Korea. Under the agreement, the two companies will work together on the sales and marketing of Skyzoster, a shingles vaccine developed by SK Chemicals, in the South Korean market, which is worth 80 billion won (US$70 million). Zostavax, a drug from U.S. pharmaceutical giant Merck & Co., had been the only vaccine proven to treat shingles, which typically shows up as a painful rash that develops on the body as a result of the reactivation of the zoster virus. SK Chemicals said it aims to expand the local market share of Skyzoster to 50 percent this year by strengthening sales with Daewoong Pharmaceutical. “SK Chemicals aims to eventually expand the global market that has so far been dominated by the global drug firm through the stable supply in South Korea,” said Ahn Jae-yong, a SK Chemicals official. SK Chemicals claimed that increased efficacy means its drug will represent an improvement over Zostavax and will eventually increase vaccination rates against shingles, which remain relatively low. The global market for shingles vaccine currently stands at around 1.13 trillion won.